Previous PUBG Lite Beta Will Be Available in Four More Countries from February 13. PUBG has been making the front page for over a month now, not only for its most anticipated updates but also for bans and other various controversies. 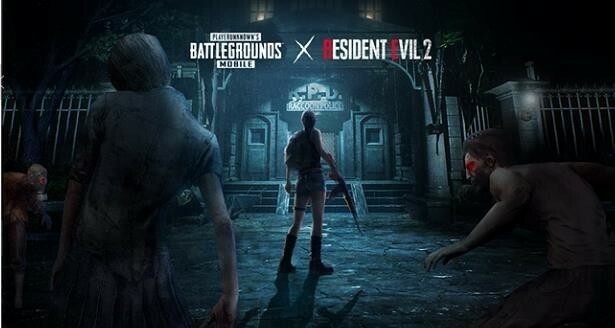 Amidst that, the company has managed to keep its campaign with Resident Evil running by teasing the new Zombie Mode yet again on their official social media handles. The PUBG Mobile Twitter handle today, tweeted the image which you can see right here. This tweet sheds more light on the much-awaited collaboration with RE2. As of now, these features are in the beta version of the app and players across the world running on beta apk can try their hands on the Zombie Mode now, you might have come across various videos on YouTube by popular streamers and YouTubers who were able to experience the Zombie Mode. The new zombie mode as per the YouTubers will be a limited time event just like the Halloween one. The Zombies will also spawn on Erangel as you might have seen some zombies lurking around in the tunnel at the spawn Island, however, they are harmless as of now. A stable rollout of the version if awaited by everyone in the community. A popular PUBG Mobile YouTuber, Mr. Ghost Gaming suggested that the update will be arriving on or before February 10. The new zombie mode is also said to bring in some overpowered limited edition armory such as the Flamethrower and even a Mini Gun which is the elder brother to the M249, my god, that thing is powerful! The 0.11.0 Update will bring in a ton of bug fixes and is said to cure the render lag but we’ll see about that. Meanwhile, a tweet by the PUBG Mobile officials also points out at the Moonlight update coming to Vikendi very soon. The developers will also be adding the push-to-talk and the most asked feature is to bring back the old voice chats, Impressive!. What do you guys think of this upcoming PUBG Mobile Update? Also, let us know down below your ranks and type down your PUBG ID we can squad up sometime. And Stay Tuned to GadgetGig for more such news.